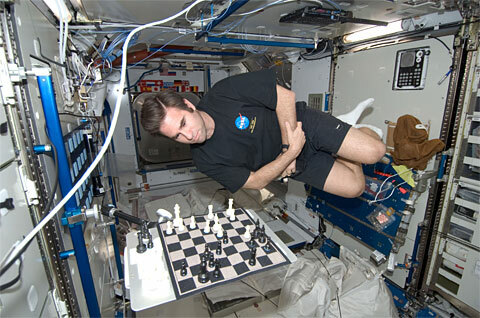 When you see astronauts floating around on the International Space Station, they’re not floating because there isn’t any gravity, they’re floating because they’re falling. In fact, the space station is falling as well, and they’re falling along with it! Think of a malfunctioning elevator with a ball resting on the floor and the elevator suddenly started to fall. Watching from our camera mounted inside we would see a fixed, tiny room with a ball suddenly starting to float! It’s the same exact concept with the folks in space. Then why doesn’t it fall out of the sky? The elevator ride would be short-lived for sure, but the ISS has been up there for years. The difference is speed, or more accurately, velocity. 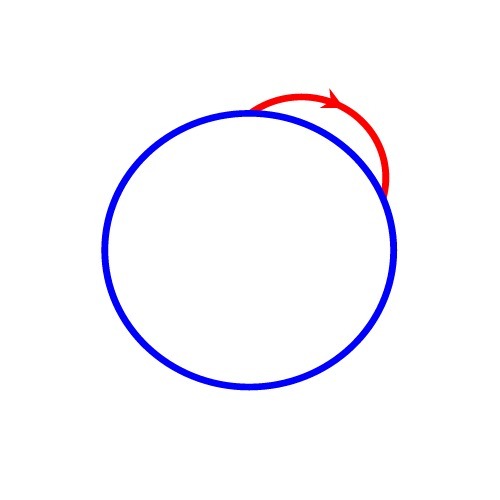 Velocity is a vector which consists of two elements and speed is just one element of velocity. The other element is direction. 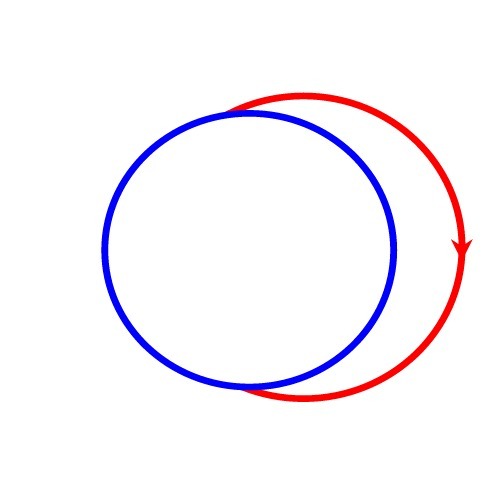 The astronauts are going around the Earth very fast in a horizontal direction relative to the ground. What that means is that they’re falling straight down and also going very fast around the Earth. But still, why don’t they hit the ground? The reason is because the Earth is round! They’re going around the Earth so fast that as they fall, the ground curves underneath them at the same rate. That’s a little hard to imagine so here’s another way to think about it. Imagine a cannon that is pointed directly up. If that cannon fires a cannonball, it’ll go straight up and come straight back down. Now, say you wanted to hit something a couple football fields away. You’d tilt that cannon down and fire the cannonball at an angle so that it’ll go up and over, then start to fall back down where it eventually hits its target. The path it takes looks like an arch, right? Like a curve. And the reason why it comes back down is because of gravity. Well, let’s imagine that you pack that cannon with more gunpowder. Now when you fire it, the ball goes a lot farther. It goes a lot farther but it follows that same arching path. It goes up, curves back down, then lands much farther away. Now let’s get crazy. Let’s put our cannon at the North Pole and put so much gunpowder in this thing that when we shoot our cannon, the cannonball goes up, curves, then lands all the way down at the south pole! You could imagine drawing its path on a piece of paper; there’s a circle on your paper and a point at the top and the bottom of your circle. Now, draw a line coming out of that point at the top to the right at an angle. 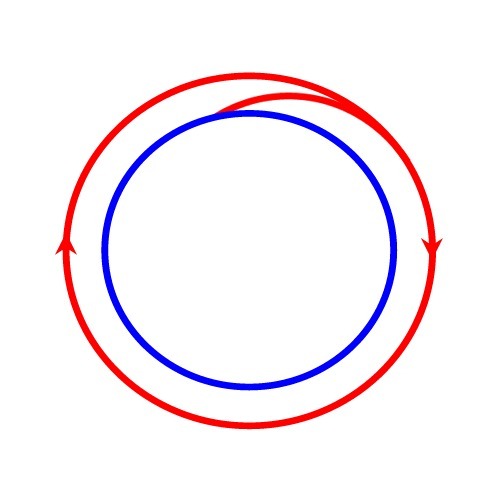 Then it sort of curves around, making its own half-circle until you connect it to the point at the bottom. Congratulations! You’ve made your first sub-orbital flight! This is exactly what Alan Shepard did back in the early sixties when he became the first American in space. What if we take our super-awesome cannon and load it with so much gunpowder that when we fire it, the cannonball goes all the way around the south pole, then starts to fall back down and lands right behind our cannon up at the north pole! You could imagine drawing that on a piece of paper as well. 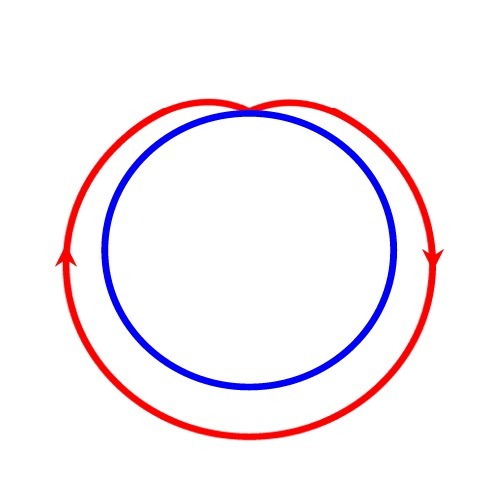 It would look like a circle (Earth) with another slightly larger circle around it (our cannonball’s path) but with the tops of the circles touching. Alright, final step… we fill the cannon to the brim with gunpowder. We light the fuse. BOOM! The cannonball goes flying off in our traditional arching path. It goes up and around the south pole just like last time. Only this time, it’s going so fast that it doesn’t land at the north pole. It doesn’t land anywhere! It’s going so fast that as it falls, the land underneath it is curving away at the same rate so that the cannonball will never hit. And there we go… orbit. That’s exactly what the astronauts are doing on the International Space Station. They’re falling with style. Again, they’re not floating because the lack of gravity. The ironic thing is that gravity is what’s keeping them from floating off into space forever! Copyright © 2019 Jeffrey's Boldly Going Nowhere All Rights Reserved.